Today . . . I am, reading an article in Fortune Small Business about Ron Shaich, Panera Bread company's founder, order taker, and sometimes dish washer. 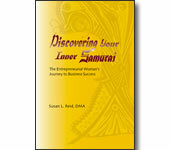 Brandi Stewart does a nice job telling the story of this entrepreneurial hero. He started college thinking he would end up working in politics. But after he was falsely accused of shoplifting and then kicked out of a convenience store while still a student, Shaich launched a rival shop - and his business career. Twenty years later, Shaich made a name for himself as the owner of Au Bon Pain, an East Coast bakery chain he grew from three stores into a $200 million a year company. Many thought Shaich was crazy when, in 1999, he sold Au Bon Pain to concentrate on developing Panera (Charts), its small bakery division. 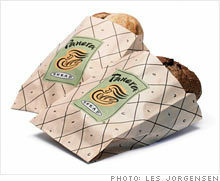 But today Panera is the country's 17th-largest food-service company, boasting some 1,115 U.S. locations and annual revenue of $1.9 billion. Want to read more? Click here. What I want to focus on is the three main ingredients that Shaich focuses on in his business. Whether you are an Accidental Pren-her just starting out in business or an entrepreneurial woman who's owned a business for many years, these three ingredients (the most often over looked) are important for small business owners to keep in mind. Never stop talking to customers. To understand what sells best at his shops; Shaich visits them regularly, mans the registers, and waits on buyers. Retain good employees by earning their respect. On more than one occasion, short-handed store managers have found Shaich in the back, washing dishes and mopping floors. After he bought the St. Louis Bread Co., Shaich changes its name to Panera, which resonates better with folks outside the Midwest -- see my article on the "Five Characteristics of Great Business Names and Five Popular Trends to Avoid." So, what do you think about Shaich's three main ingredients to business success? Agree? Disagree? Let us know!